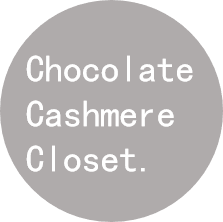 Chocolate Cashmere Closet: La Fleur. 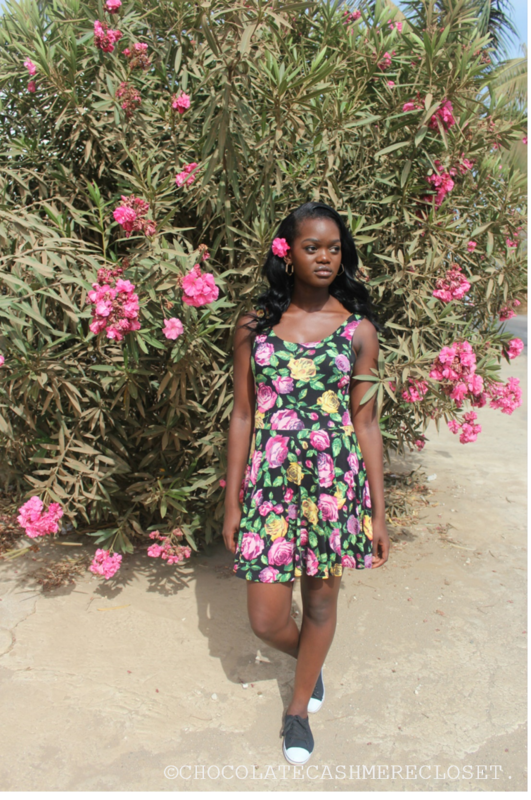 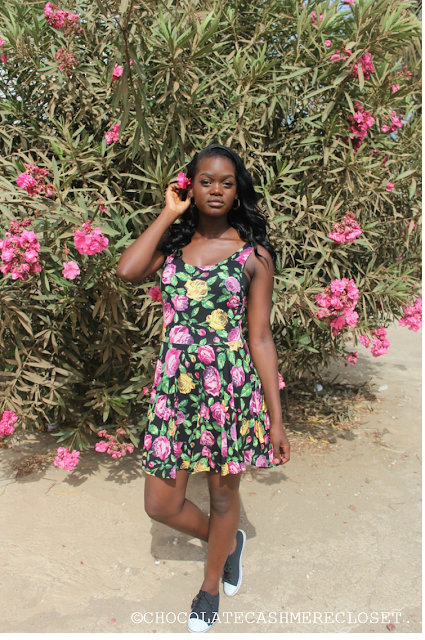 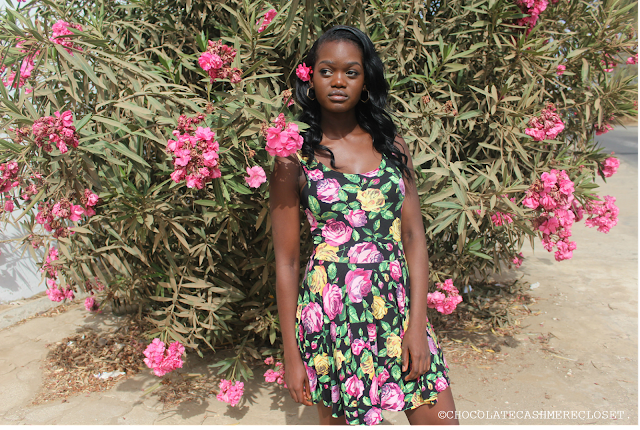 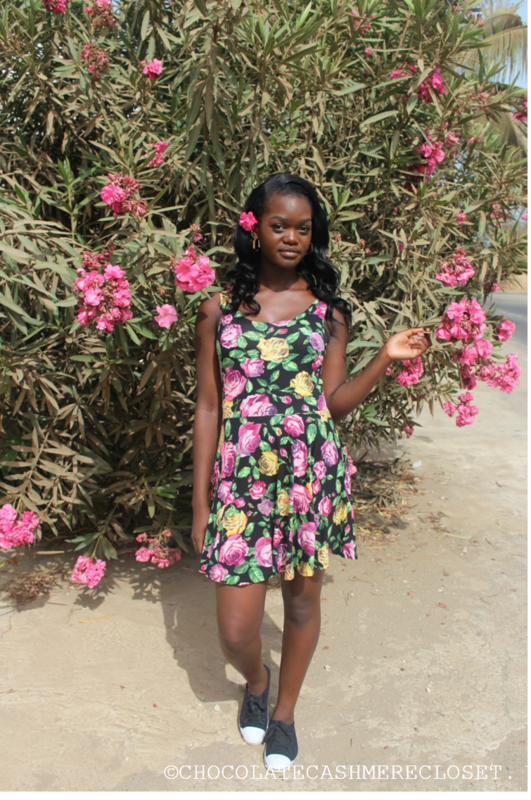 Today's floral look of the day was inspired, coincidentally, by this flower bush on the side of the ocean road in Les Almadies. The hot summer sun can be forceful, at times, so draw outfit inspiration from this look by keeping it casual with a flowy skater dress and flat top sneakers. 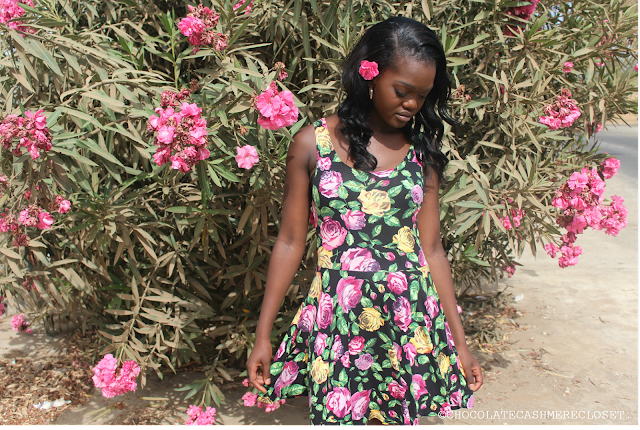 -Taken in the Les Almadies region of Dakar. 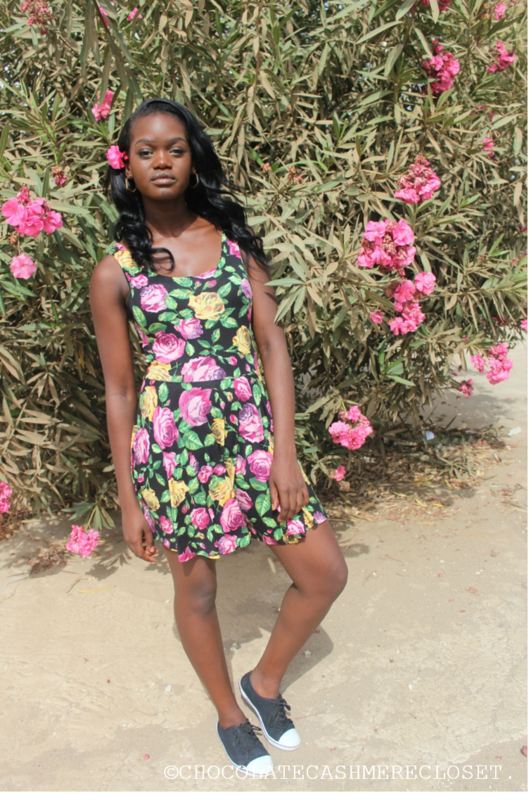 Dakar Street Style: Garden White.